According to a Facebook post, the injured dog was found right outside of downtown Columbus. 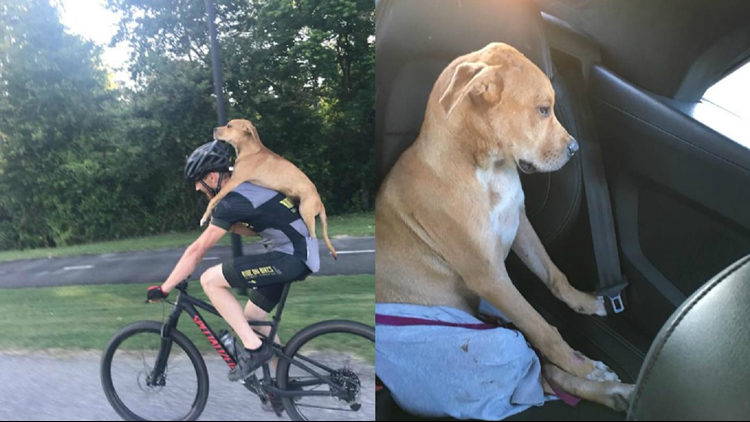 The cyclist, Jarrett, noticed the dog was unable to walk, so he picked him up and placed him on his back. Columbo rode into town on the stranger's back. Once the pair made it to town, Columbo met a woman who would soon be his mom. After surgery, Columbo was transported to Maine where he now lives with his forever family. Click here to follow Columbo's adventure.